"The introduction of the .Boats top-level domain",says the Registry, "enables businesses and individuals in the marine industry to upgrade to a more meaningful, memorable, online identity." ".Boats domain names allow you", stresses the Registry, "to tell the world exactly what your company is all about and lets consumers know it’s exclusively marine." The Boats-Domains is an exclusive web address, the first web address of the marine industry. But the Boats-Domain targets also the customers of the marine industry. 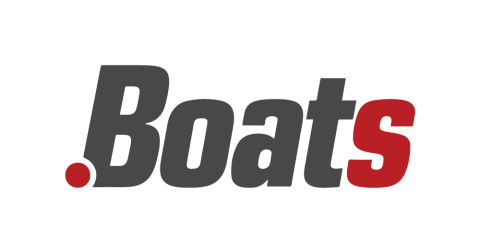 "Companies using a .Boats website address", explains the Registry, "send a quality signal to online consumers that the company has been validated in this industry. It is a signal of trust – and tells website visitors they can expect quality content and information relevant to boating on any .Boats website." The standard Boats-Domain costs 140 US-Dollars/year. We are an official registrar of Boats-Domains. We register available Boats-Domains fast and reliable. By clicking at the button, you confirm a free, but binding pre-registration of (a) New Top Level Domain (s), which will cost at succesful registration 90 US-Dollars/domain and year and that you have read and accepted Trade Conditions, Registrants Rights and Responsibilities, the Uniform Domain Name Dispute Resolution Policy and the policies of the registry.